“The Last Jedi” Teaser Trailer Released! 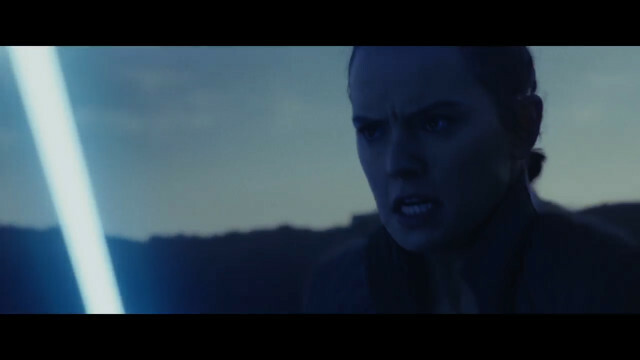 This was released about half a day ago, so I imagine half the world has already seen it, but I always get excited by the release of a new Star Wars trailer and I always get the urge to write a short post about it.😊 Anyway, here it is, the first trailer for this year’s Star Wars film, The Last Jedi. Despite my lack of enthusiasm for this trailer, I’m still looking forward to seeing The Last Jedi. Luke Skywalker is probably my favourite movie character of all time, so it will be great to see him shine, for perhaps one final time. And of course, Daisy Ridley is doing a great job as Rey and it will interesting to see how Rey’s story progresses as well. This entry was posted in Films, Trailers, Western and tagged Luke Skywalker, Rey, Star Wars, The Last Jedi by maruserino. Bookmark the permalink.